There's something we have to admit: it has been a while since a smartwatch announcement got us as excited as we are right now. But the Samsung Gear S2 and S2 Classic deserve every bit of attention we've been treating them to ever since the first few teasers came out. 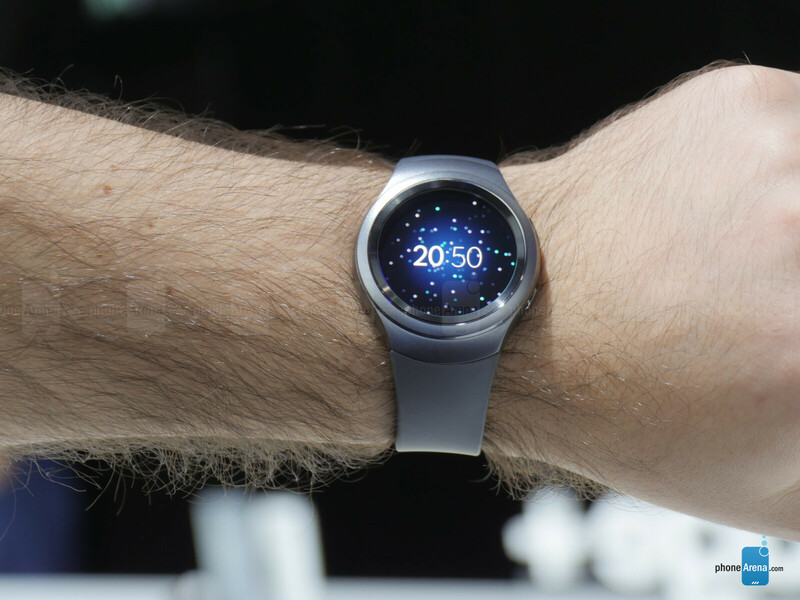 As we pointed out in our hands-on articles, Samsung's wearables demonstrate how great of a companion a smartwatch could be when it is executed right. Which of the two Gear S2 models is superior, however? Are they any different at all? Allow us to answer these questions for you. The way they look is a key differentiating factor between the Samsung Gear S2 and Gear S2 Classic. The former is a futuristic-looking device with minimalist design and rather sporty feel, while the latter sticks closer to what a traditional watch looks like. Both wearables are designed in a way to appeal to both ladies and gentlemen, although the Gear S2 could be regarded a tad more universal, gender-wise, than the Classic. Looks have been combined with practicality, as the two wearables are dust- and water-resistant. 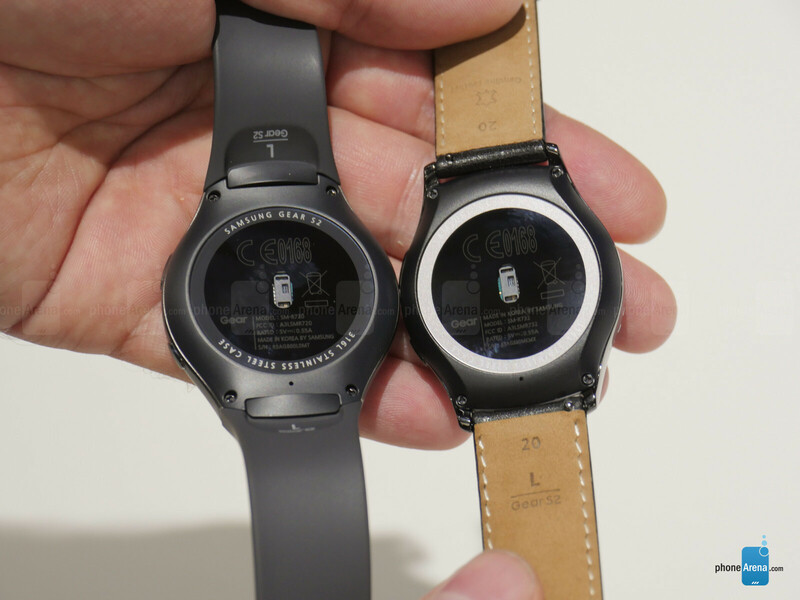 Both Gear S2 models feature a rotating bezel, used to effortlessly navigate through the interface. The two bezels provide good tactile feedback with each rotation, allowing our fingertips to feel every move within the Tizen menu screens. Back and home buttons reside on their right sides. 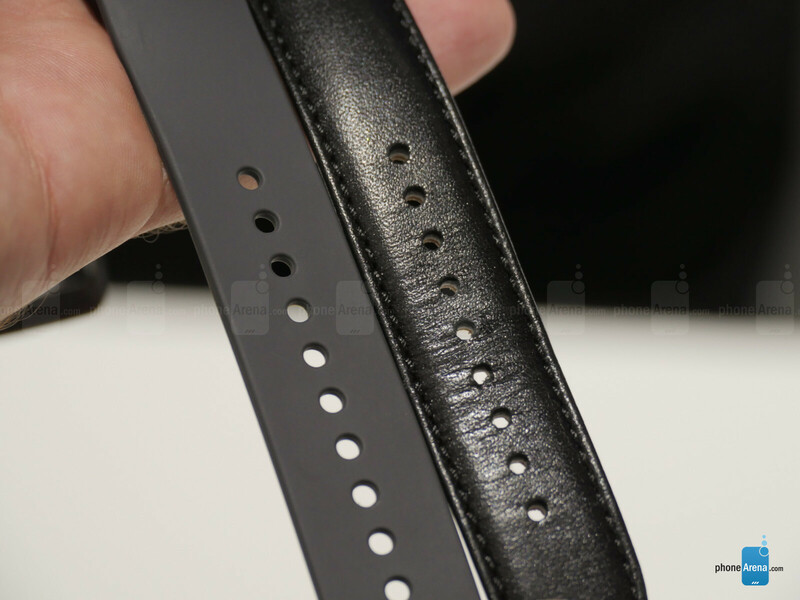 It is important to know that the Gear S2 comes with Samsung's proprietary band lock mechanism. In other words, you won't be able to put your own watch band on it as it won't fit. If you have a Gear S2 smartwatch, you'll only have the handful of Samsung-made wrist bands to pick from, most of which are very sporty in appearance. In contrast, the Gear S2 Classic is compatible with standard 20-millimeter watch straps, which is convenient. 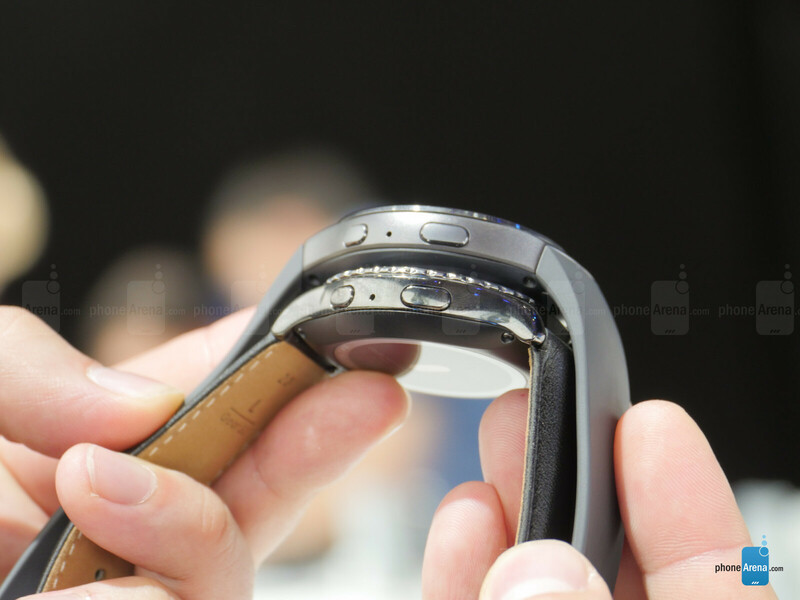 The straps Samsung is providing for it are made of premium materials, such as metal or genuine leather. The Samsung Gear S2 and S2 Classic may seem identical in terms of size, but there are some subtle differences in this regard between the two devices. The former is 1.67 inches wide and 1.96 inches tall (42.3x49.8mm), while the latter measures 1.57 by 1.72 inches. 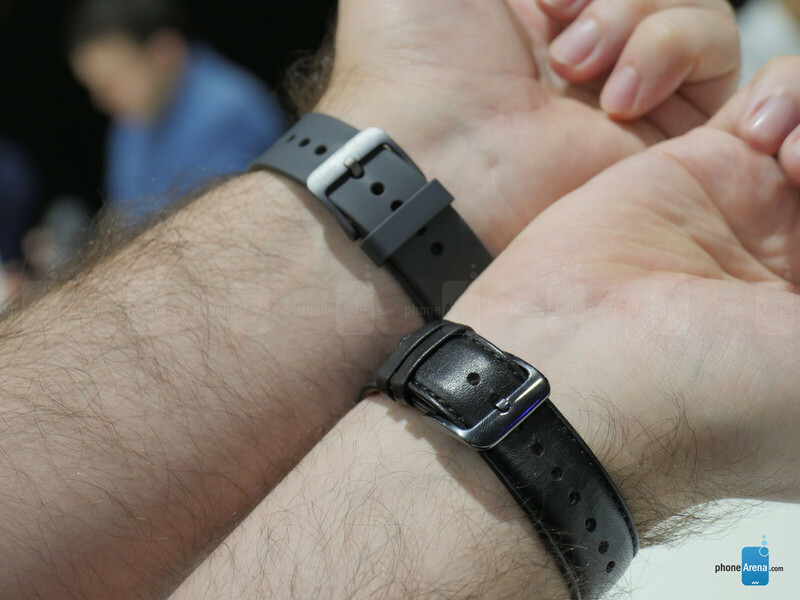 Both wearables are 11.4 millimeters thick. Furthermore, the Gear S2 is a tad heavier, weighing 1.66 oz (47 g) vs 1.48 oz (42 g) for the Gear S2 Classic. Design and physical size aside, the Samsung Gear S2 and Gear S2 Classic are pretty much identical. They both feature the same 1.2-inch Super AMOLED display with 360x360 pixels of resolution, producing 306 ppi. Both feature a dual-core processor ticking at a 1GHz maximum. Both have 4GB of storage alongside 512MB of RAM. Both are loaded with connectivity options and various sensors to track the user's activity. Long story short, you'll be getting the same hardware under the hood regardless of which Gear S2 model you pick. 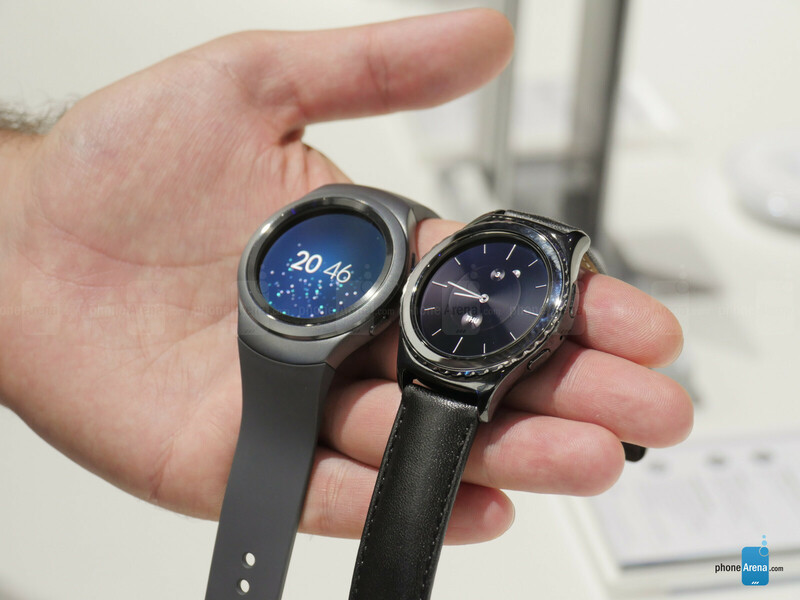 Both Gear S2 variants run the latest version of the Tizen operating system. Simply put, there's nothing that the Gear S2 can do and the Samsung Gear S2 Classic can't. The two feature a ton of well-designed watchfaces, many of which are customizable, and a Samsung-provided app lets you put your own watchface from scratch. Both models support Samsung Pay for hassle-free mobile payments at participating retail locations. Both can automatically track your activity, measure your heart rate, bring your notifications, your text messages, your contacts, and your navigation data to your wrist. And we're only scratching the surface. In addition to the standard Gear S2 and Gear S2 Classic models, Samsung is planning on releasing variants with cellular connectivity. It will be possible to use these Gear S2 and Gear S2 Classic models as independent devices as they'll have access to the internet via your provider's cellular network. However, they'll be slightly thicker and heavier than the standard models in order to accommodate the necessary radios and a larger battery. Speaking of batteries, the Samsung Gear S2 and Gear S2 Classic come with 250mAh cells, with a promised battery life of 2 to 3 days. The cellular-enabled variants of the wearables will have larger, 300mAh batteries and should last a couple of days per charge. Of course, battery life will greatly depend on how the gadgets are used. For example, having the always-on screen option enabled will reduce longevity significantly. Thankfully, Samsung has thrown in a power-saving mode for those times when you forgot to place your Gear S2 or Gear S2 Classic on its wireless charger. Yup, the two smartwatches come with a handy wireless charging cradle and even support rapid charging. All in all, the Samsung Gear S2 and Gear S2 Classic are similar on so many levels, including screen size and resolution, hardware specs, software capabilities, and battery life. Several factors do set them apart, however, and one of them is the way they look. Whether you should pick the sporty regular model or the stylish Classic variant depends solely on your tastes and preferences. Also, it is worth reminding you that the Classic is compatible with standard 20mm straps, while the regular Gear S2 model gets along only with Samsung's own wrist bands. As far as pricing goes, we're expecting the two to retail at the same price point given their identical feature set. Just Wait For Reviews And Pick Which Ever Gets A Better Score. I am leaning towards both. The Huawei being my dress watch and the Gear S2 being everything else. The bezel on the S2 looks much better than the one on the Classic And between the 2, I would definitely choose the S2 version. I actually prefer the bezel on the Classic, the S2 bezel looks really deep. 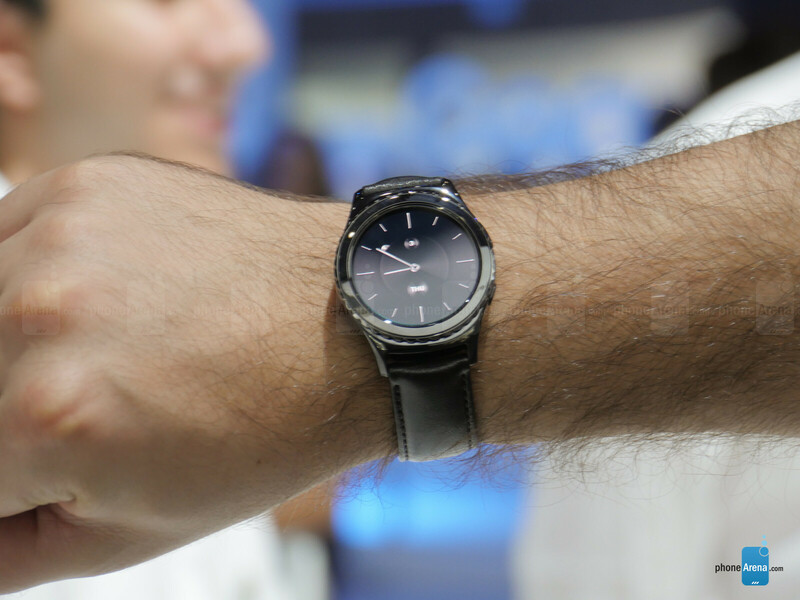 Huawei watch looks definetly better, but S2 will be probably more functional with longer battery life. If you need watch with notifications take Huawei. If you need smartwatch take S2. I will take Huawei Watch because it looks better in my opinion and got bigger screen. Also voice functions are probably better in Android Wear. Do they have touchscreens or is it solely the bezel and buttons? Bulls**t LOL, Classic Looks Better Than The New 360. I don't know about that. The 360 in all black looks mighty good. I think the classic looks very nice. Good reviews, looking better all the time. I suppose I may break down and get the classic. How about that. If you get the 3G version with the bigger battery but don't use it's 3G functionality (don't put sim card, etc.) would you get the same functionality as the regular model but with additional 1 to 1.5 days of use? Just as a thought. I wouldn't mind my Note to be 1 mm or so thicker for extra few hours of battery life.